Tucson Arizona is well known for its beautiful scenery and the startling divides between desert and mountain vistas. Nestled on these hills, valleys, and desert sands, Tucson has luxury homes that rival the most extravagant homes in the country. 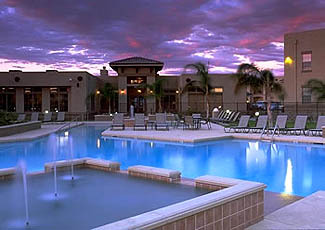 Luxury properties in Tucson are numerous, and offer an enormous variety of architecture, styles, and amenities. Large private estates and mansions, custom built luxury homes, lots with mountain and city light views, great retirement and vacation property, or beautiful golf course landscapes with every amenity. These versatile homes represent the diversity of lifestyles that Tucson has to offer. 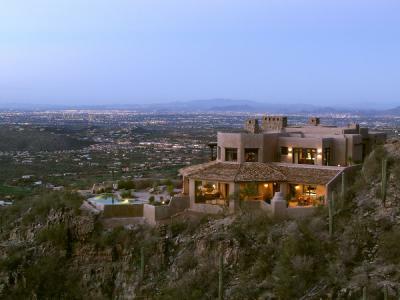 The luxury home market has experienced phenomenal growth in Tucson, AZ. There are a great homes for sale over $1,000,000 with some asking over $10,000,000. World-class architects, designers and builders from all over the country are now actively participating in our local Tucson luxury market. Most of these grand homes not only offer some spectacular floor plans and amenities, but some of the finest views of golf courses, mountains, the valley and our unique desert wildlife. It is now very common to find theater rooms, wine cellars, elevators, abundant granite and marble, Casitas and lavish swimming pools in the newly built estates. If you are out looking for the home of your dreams, then you have come to the right place! We offer professional service as distinct as the luxury homes that we represent. The Catalina Foothills (Tucson's Premier Address) contain some of the finest homes in Tucson, and offer many fantastic mountain and city views. 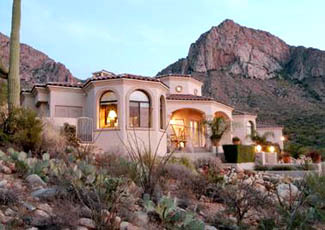 The Beautiful homes in Oro Valley are in High Demand and appreciating quickly. These are some of the most prestigious in Tucson's Metropolitan area. Many beautiful homes are tucked away in Northeast Tucson. Located close to Sabino Canyon and the Coronado National Forest, this community offers peace and tranquility, and easy access to many of Tucson's best nature attractions. We at the Brenda O'Brien team welcome you and hope that you will enjoy our website and seeing the extraordinary Tucson luxury homes that we have to offer. We hope to unlock the door to spectacular real estate, exclusive estates and some of the world's finest spectacular homes. We showcase Tucson's finest real estate. Find your Luxury Home By Price! or your secluded manor, let us assist you in your search from the comfort of your home or office.